Food Blogga: Would You Like to be a Recipe Tester for My Sandwich Cookbook? Would You Like to be a Recipe Tester for My Sandwich Cookbook? 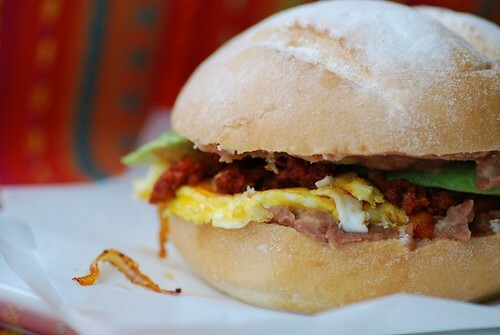 Mexican Torta, one big, belly-busting sandwich. It's time to make the sandwiches! You know I have been working on my upcoming cookbook, The Encyclopedia of Sandwiches: Recipes, History, and Trivia for Everything Between Sliced Bread (Quirk Books). Now it's time to test the recipes. Would you like to help? If so, read on! 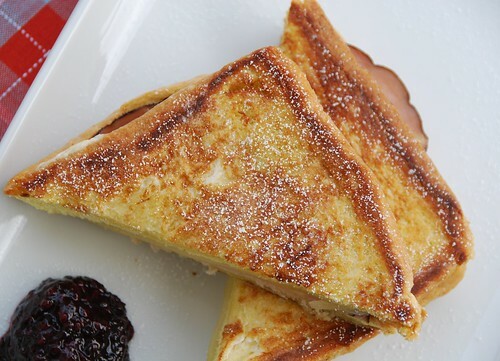 Monte Cristo, the American version of the Croque-Monsieur. 1. Email me at Foodblogga AT yahoo DOT COM today or tomorrow. Please put RECIPE TESTING in the subject line so I can flag it. Send me your full name, home mailing address, and phone number. 2. I will send you a list of sandwiches and will assign them on a first-come, first-serve basis. If you'd like to test more than one recipe, please let me know. 3. Things will move quickly! You'll receive the recipes in a couple of days, have about a week to test them, and send me your feedback via email no later than Thursday, Sept. 30th. The recipes are straight-forward and easy, though some like pulled pork require several steps or longer cooking times. 4. What will you get out of it? A great sandwich, your name mentioned in the cookbook, and my eternal gratitude. Italian Chicken Cutlet Sandwich with Broccoli Rabe and Provolone. Mangia! 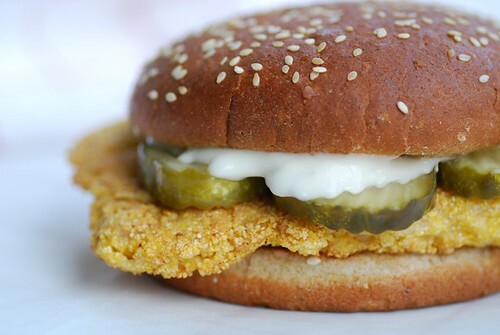 Pork Tenderloin Sandwich, Indy's pride and joy. My goodness, they all look delicious! Can't wait to see the book. Oh boy, my son sure would sure want to be one of your taste testers! 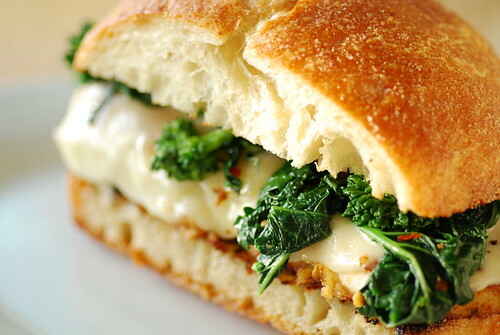 Your Italian Chicken Cutlet Sandwich with Broccoli Rabe and Provolone looks great. I think I will have to try that with a vegetarian "chicken" cutlet. Although I do not typically like meat substitutes, every now and then I will see a recipe like your sandwich that really sounds good so I simply veggie it. These all look so mouth watering!Congrats on writing your own book, wow. msbakeit-Well I'm glad it tempted you then! Thanks! Oh YAY! My boyfriend and I LOVE the Italian Chicken Cutlet Sandwich with Broccoli Rabe and Provolone Cheese. It's a household favorite that he insists on making for company. Then again, every Food Blogga recipe I have tried has been a success! I'm writing a cookbook too and am anxious to see how your recipe tester plea pans out. My book is Till Meat Do Us Part and it's geared toward "mixed marriages." One meat lover and one vegetarian. Ooh, this sounds like FUN! I can't wait to read the whole book! Thank you so much for all of your supportive emails. I have received over 300 replies! I'll be assigning recipes on a first-come, first-serve basis and unfortunately won't be able to get to everybody. Warmest thanks for your interest, Susan.